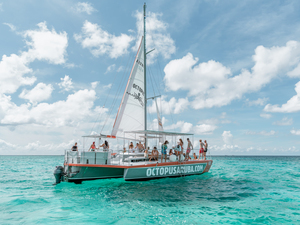 Looking for relaxation, adventure, or just about anything else that's available in Oranjestad, Aruba, we have the Oranjestad Excursion for you! It doesn't matter whether you come via a cruise ship or on a longer stay at a resort, take a look at the excursions we offer in Oranjestad. 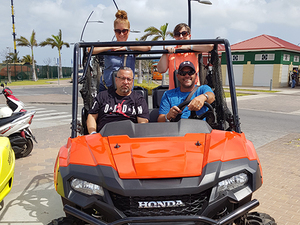 Whether you just want to relax or have an adventure you'll quickly discover that this beautiful capital city of Aruba has much to offer, a great excursion option is our Aruba Polaris Buggy Adventure Excursion. First class All Inclusive Day Pass - all you can eat and all you want to drink! 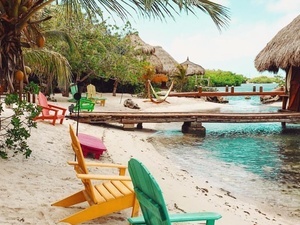 Access to all resort facilities including beach chairs, shaded palapas, a natural swimming pool and many other options! Sports and leisure activities available at the resort! Kids Club for children from 4 to 12 years old! Enjoy a great day at one of Aruba's best beach resorts - the Occidental Grand. All inclusive day with breakfast and lunch buffet, swimming pool, open bar, sandy beach and more. Round trip transportation from your Aruba cruise terminal! See the most famous highlights of Aruba on this shore excursion! Experience Aruba! 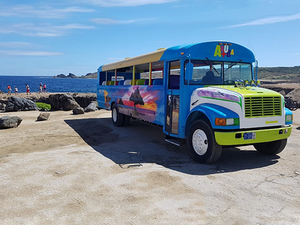 See the famous Aloe Vera Factory, California Light House, Alto Vista Chapel and the Casibari Rock Formation on this Aruba sightseeing cruise excursion. Round-trip transportation from your Aruba cruise terminal! See all major highlights in just half a day! Enjoy driving your own jeep on this Aruba Safari sightseeing excursion! What better way to see beautiful Aruba than in a four wheel drive jeep on this Jeep Sightseeing cruise excursion in Aruba? Several stops and shopping opportunities! Excursion stops include Aloe Vera Factory, Casibari Rock Formation, Natural Bridge, Alto Vista Chapel, California Light House and more! 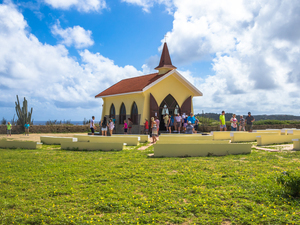 Explore Casibari Rock Formation, Alto Vista Chapel, California Light House and much more on this Aruba Sightseeing Cruise Excursion. Enjoy sailing on 65' catamaran (former racing boat)! Guided snorkeling at two of the best sites on the island! Includes open bar (alcoholic and non-alcoholic beverages) and snacks! Great for all ages - children under 4 are FREE! Great add-on activity to your Aruba Occidental Grand All Inclusive Day Pass! Larger the group, lower the price! 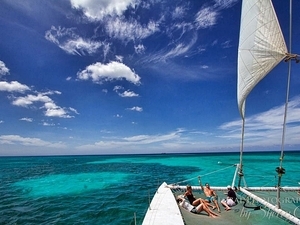 On this Aruba Cruise Excursion enjoy sailing on 65' catamaran. Snorkel at 2 sites including the Antilla Ship Wreck! Includes Open Bar and snacks. Pickup at your Aruba cruise terminal! Automatic transmission 4X4 UTV (1 - 2 passengers)! Bottled water and granola bar! Entrance fee to Arikok National Park! Let us show you what Aruba's nature has to offer. Get off-road and explore the Arikok Natural Park in your UTV and discover the local flora and fauna on this fun afternoon UTV excursion departure. Don't forget your camera, this place has some beautiful landscapes you don't want to miss! Round-trip transportation from your Aruba cruise pier! Helmets and powerful ATV with automatic transmission! Island highlights and adventure sightseeing including Bushiribana Ruins! 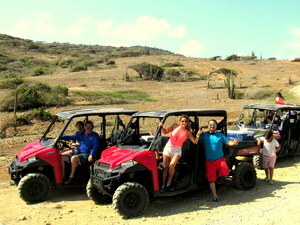 Combine with Aruba Polaris Buggy Island Excursion! 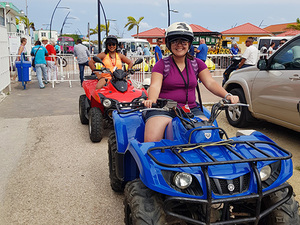 See some of the main highlights of Aruba including the countryside on this fun ATV All Terrain Vehicle Adventure Excursion! Round trip transportation from Aruba Cruise Terminal included! Pick up and drop off by parasailing boat! English speaking and certified parasailing guide and crew! All necessary safety equipment included! Enjoy a solo or tandem parasailing flight! 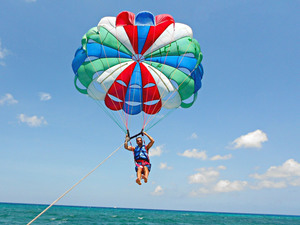 The best option for Parasailing in Aruba, directly at famous Palm Beach! Enjoy single or double parasail flights on this adventurous Aruba cruise shore excursion! Round trip transportation from your Aruba cruise pier! Specialized UV Light and Visor! 1 tank dive for certified SCUBA divers! Maximum 6 SCUBA Divers per dive master! 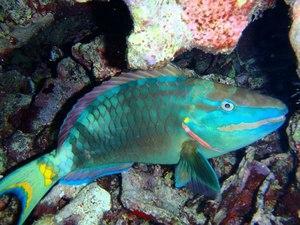 Enjoy a unique scuba dive experience while in Aruba. 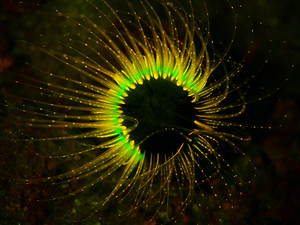 This UV Night Dive would show you the marine life that glow luminescent when you use a special fluorescent dive light! PADI and ALFI certified SCUBA dive master and instructors! 1 or 2 tank dive for certified SCUBA divers! All ALFI course class material! Tanks, spears and catch holder! Maximum 8 SCUBA Divers per dive master! Dive gear available - see order form! A different twist on SCUBA diving. 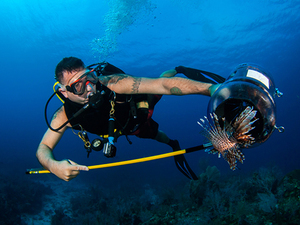 Help to clean the local reefs from lionfish. This excursion is only for certified divers. Pick up and return outside your Aruba cruise terminal! Brand new 2 or 4 seater automatic Honda UTV Utility Task Vehicle! Fully licensed and insured UTV's! Ideal for small groups or families! Price per vehicle for up to 2 or 4 people per UTV! There is no better way to see the island than up close and personal driving in your own UTV. 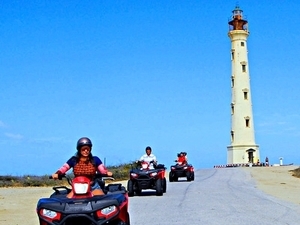 This excursion allows you the freedom to explore at your own pace, enjoying Aruba as you wish. Drop off and pick up from your Aruba cruise terminal! Fully licensed and insured Scooter! Single or double riding for the same price! Are you tired of the common excursions? Want to do your own excursion and rent a scooter to explore places you won't even imagine? 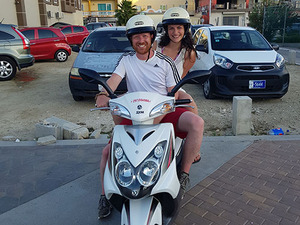 You can choose from full day or half day scooter rental and make your own day of fun! Fully licensed and insured ATV! Get adventurous and explore Aruba on your own. With your ATV rental you would be able to get to places you wouldn't imagine. Have fun! Round trip sailing excursion on 40ft trimaran from the meeting point! Light Lunch, snacks and Open Bar! Enjoy your afternoon with this fun combo excursion and have the opportunity to sail and snorkel in Catalina Bay along with a delicious lunch. You will love it! Round trip transportation from your Aruba cruise ship terminal or hotel! Open-aired bus fully licensed and insured transportation! Snorkel equipment including mask and sterilized snorkel! Beach stop at Mangel Halto Beach and Baby Beach! Beach chairs and umbrellas for rent at Baby Beach (at own expense)! Calling all beach lovers! 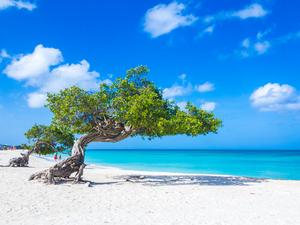 You will visit 2 of the most beautiful beaches in Aruba. Discover Mangel Halto Beach and Baby Beach! Automatic transmission 4X4 UTV (1 or 2 passengers)! Visit the Natural Bridge, Gold Mill Ruins, Ayo Rock Formation, Arikok National Park and much more! Entrance fee to the Arikok National Park! If you love nature, then you'll love this off-the-beaten-path shore excursion in Aruba. 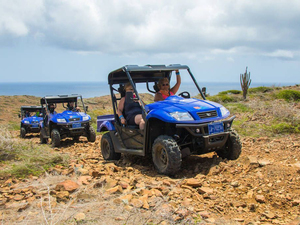 On this morning UTV excursion departure, spend time driving your own UTV through the beautiful Aruba landscapes, explore the Natural bridge, Arikok National Park and more! Complimentary 2 bottles of water! Guided hike through Arikok National Park! 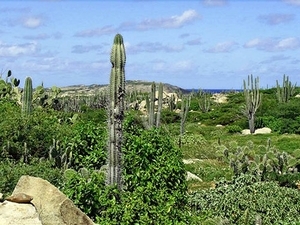 Discover a different part of Aruba. Join this guided hiking excursion and learn about the local wildlife and explore the caves with ancient drawings. Have your camera ready, you will be impressed by the landscape Arikok National Park has to offer. Air-conditioned, fully licensed and insured transportation to the buggy excursion location! 5 seater Polaris Ranger Buggy vehicles with automatic transmission! Beach break to swim or relax! Guided Polaris ride to Aruba highlights: Natural Bridge, Bushiribana Ruins, Baby Bridge, California Lighthouse, Arashi Beach! Can be combined with Aruba ATV Island Adventure Excursion! 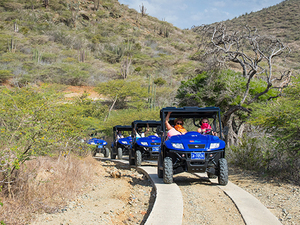 Rev up the adrenaline with your friends or family on a half day guided Aruba off road buggy shore excursion. Time to grab a dip in the Aruba turquoise ocean too! 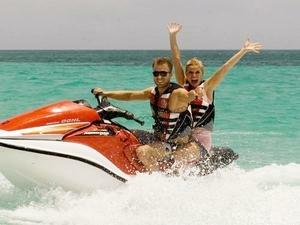 Enjoy a solo or double jet ski ride! All jet ski instructions and safety equipment are provided! 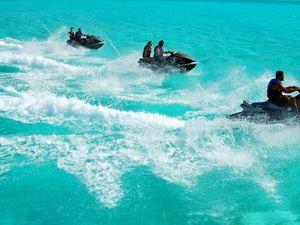 Get out on the beautiful water of Aruba on a jet ski! Enjoy some fast fun from Palm Beach with top quality wave runners, super location and a great beach. 2 fun activities - enjoy Tandem Parasailing and Jet Ski Double Rider! All safety equipment and instructions for both activities! Great add-on for the Aruba Occidental Resort All Inclusive Day Pass! Lots of other activities for your whole group or family to choose from! 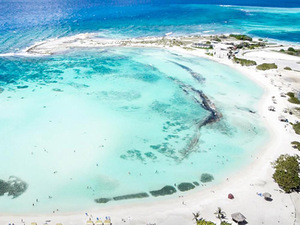 Enjoy both a Jet Ski and Parasailing ride for 2 people with this shore excursion in Aruba! Double Rider Jet Ski and Tandem Parasail. Relax at Palm Beach afterward. Round trip transportation from your Aruba cruise ship terminal! Private english speaking certified guides! Fully equipped power boat with a 3 and 4-hour charter option! Open bar (vodka, whiskey, rum, soft drinks, juice and rum punch)! Snacks (chips, salsa and cheese)! Come with us and explore the gorgeous Caribbean waters from both above and below with this private boating and snorkeling excursion. The best of both worlds and includes all the gear needed, open bar and snacks! Bottled water and sodas included! 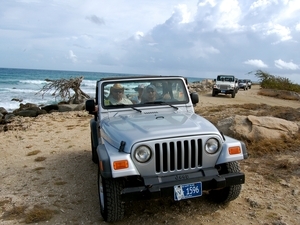 Drive your own 4 person Jeep in Aruba! See the best sights - Alto Vista Church, California Lighthouse, Gold Mine, Natural Bridge, Ayo Rocks, and much more! See Aruba From Behind the Wheel of Your Jeep! Enjoy a Guided Excursion Around the Island with Beach Time. Private round-trip transportation from your Aruba cruise ship terminal!. Unique stops, best Aruba Island highlights - California Lighthouse, Alto Vista Chapel, Natural Bridge, Casibari Rock, etc! Stop by the Butterfly Farm or Ostrich Farm plus island highlights! 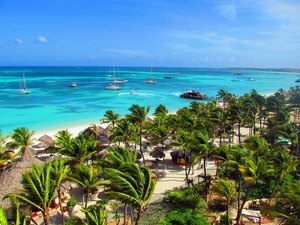 Private, 4 hours Aruba sightsee cruise excursion. Flexible itinerary and personalized service! A great private Aruba cruise shore excursion, just your group and a local expert excursion guide. 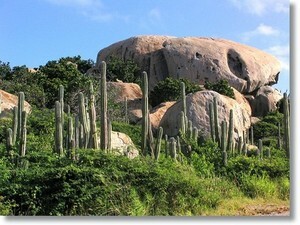 See the highlights of Aruba and visit either the famous Butterfly or Ostrich Farm! Flexible and personalized! Private round-trip transportation from your Aruba cruise terminal! 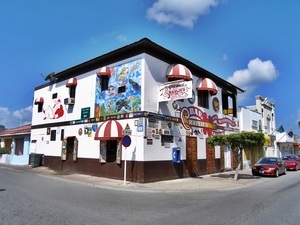 Off the Beaten Path stops, best Aruba Island highlights - Lourdes Grotto, Santa Theresita Church, San Nicolas Community Museum, the authentic Charlie's Bar! Choice of beach time at either Rodgers or Baby Beach! 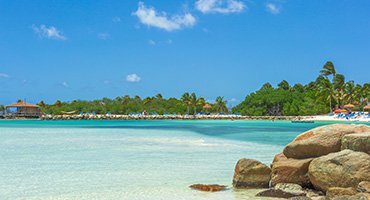 Private 6 hour Aruba shore excursion with option to change itinerary and time spent at each venue! Saints, sinners and beach lovers alike. This off the beaten path private Aruba cruise excursion gives guests a unique highlights sightseeing opportunity of the best Aruba has to offer! Private guide, private transportation, and pickup at your cruise ship! Great choice of fun activities to order! English speaking and trained staff! All instructions and necessary equipment are provided! Add-on to your Occidental Resort All Inclusive Day Pass! Variety of water sports, activities and beach fun at Palm Beach. Tube ride, SUP, Hobie Cat, kayak, bike, wakeboard, water ski & beach lounge chair/umbrellas! PADI certified beginner SCUBA dive master and instructors! Optional drop off at Surfside Beach! No SCUBA diving experience necessary! Great choice for going beyond snorkeling...try this beginner SCUBA Diving Shore Excursion in Aruba! An introductory course to diving. Professional, safe and fun! Round trip boat transportation to dive sites! English speaking certified SCUBA diving instructor! Dive instruction and all necessary dive equipment! Choose either one or two tanks! 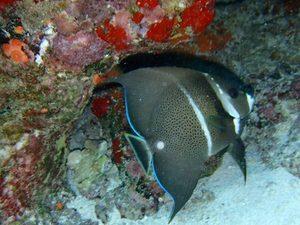 Enjoy either a one or two tank SCUBA dive cruise excursion in Aruba for certified divers. Choose with or without gear. 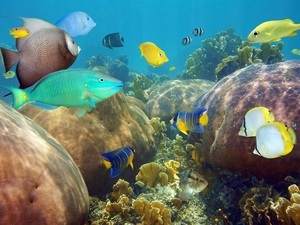 Aruba's marine life at its best! Fun and safe for all ages! English speaking and certified flyboarding instructors! Learn how to Fly Board in just 10 minutes! The newest water sport around! Great add-on activity to your Aruba Occidental Resort All Inclusive Day Pass! 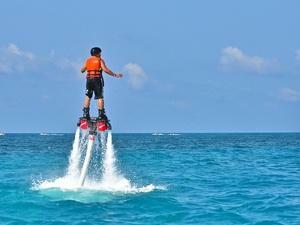 Fly Boarding, the most innovative water sports in the world, now available in Aruba. Right at Palm Beach. 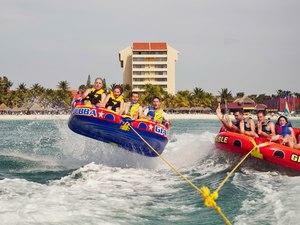 Enjoy one of the latest water sports while on a cruise to Aruba! English speaking certified horseback ride guide! All necessary horseback riding excursion equipment! 7 Different Riding Horseback Riding Shore Excursion Options to choose from! Children under 5 years Ride Free! The Happiest Horses in Aruba! 7 different Aruba horseback riding cruise excursion options to choose from! Ride on the beach, countryside, sand dunes and even in the sea on your horse! English speaking certified mountain bike guides! Top quality Trek brand mountain bikes! Safety rules and helmets are provided! Beginners, advanced and extreme...all riders welcome! Different routes for different mountain biking skill levels! Snorkeling stop included with package #2! See great scenery and do some sightseeing - California Lighthouse! 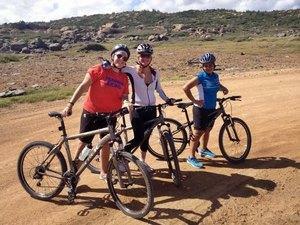 Great for beginners to extreme mountain bike shore excursion riders in Aruba! Choose an option that suits you best-custom trails, speed, and route. Even a snorkel option! Private English speaking certified horseback riding guide! Private horseback riding group just for you! Small groups - 14 people maximum! Children under 6 years ride free! 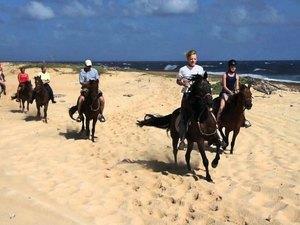 7 Aruba horseback riding excursion options to choose from! 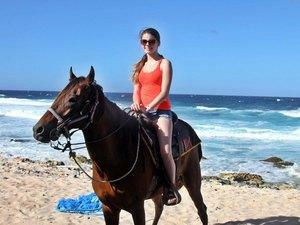 Private horseback riding cruise excursion in Aruba! 7 different options to choose from. Beach, countryside, sand dunes and even in the sea on your horse.